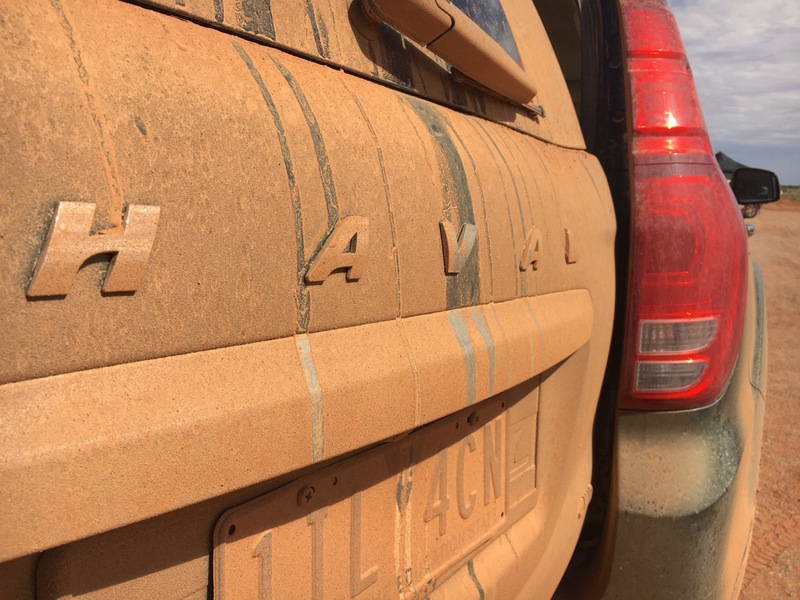 This is Part 5 of our adventure to the middle of nowhere Australia with a Haval H9, which we baptised Ivanhoe. See Part 1: Melbourne to Mildura here, Part 2: Mildura to Broken Hill here, Part 3: Broken Hill to Tibooburra here and Part 4: Tibooburra to Cameron Corner here. Today we spend a post to take stock of what we achieved: arriving in Cameron Corner (almost) unscathed. We arrived just in time for New Year’s Eve celebrations, and as Cameron Corner is located at the intersection of three states – Queensland, South Australia and New South Wales – we can celebrate three times. Indeed these three states have different time zones, each separated by half an hour. Handy. Everybody gathers around the Cameron Corner Marker choosing the state that passes on the new year, drinks a few beers, and does it all again half an hour later. First is Queensland, then New South Wales and finally South Australia. Ivanhoe our Haval H9 made a noticed entry in Cameron Corner, with punters of the pub first mistaking it for a Nissan X-Trail and having to do a double take. On second glance, they all ask what the brand is and admit the car is looking pretty good. The mere fact of arriving in Cameron Corner earns their respect. As it was the case when I reached Birdsville with the H8, Ivanhoe is the only non-modified 4WD in Cameron Corner where the Toyota Hilux, Land Cruiser 70 and Ford Ranger reign supreme. When I mentioned the loss of half of our underbody protection, everyone was unanimous: “When you travel through here there’s so many mods you need to do to your truck, even a Hilux. No way they’d land here in one piece otherwise” That got me reassured. But why “Cameron” Corner? I hear you ask. 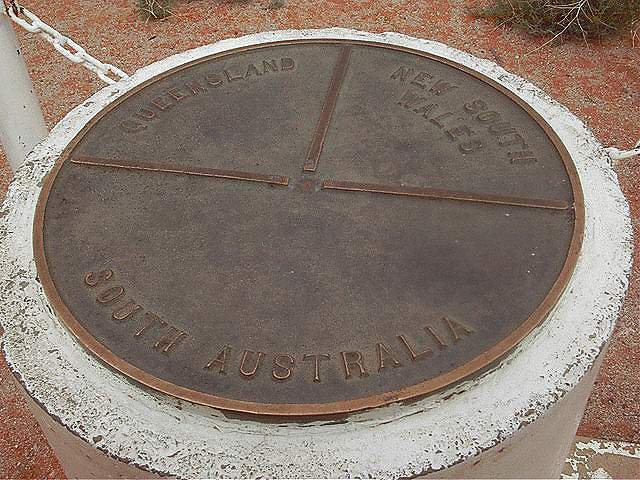 The location was named after the surveyor John Brewer Cameron who marked the border between New South Wales and Queensland between 1880 and 1882. One of the other interests of Cameron Corner is the crossing of the Dingo Fence passing through the location along the New South Wales border. 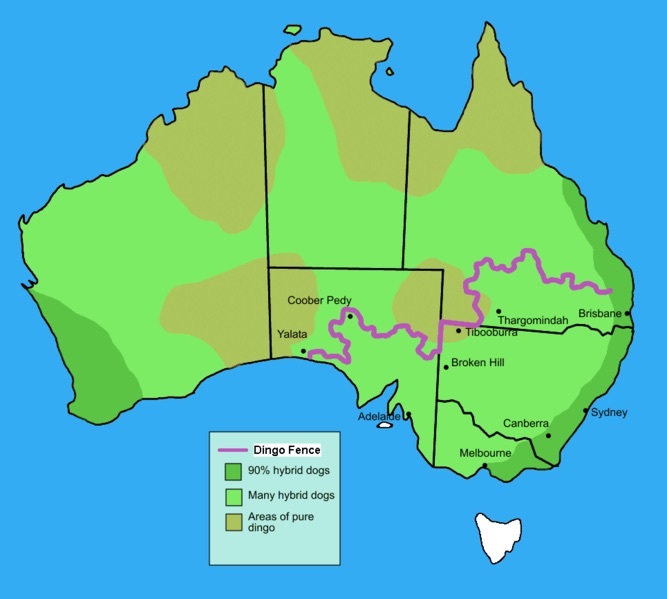 The Dingo Fence, also called Dog Fence, is the world’s largest fence, stretching 5.614 kilometres (3.488 miles). It is a pest-exclusion fence that was built in the 1880s to keep dingoes out of the south-eastern part of the country and protect the sheep of southern Queensland. In Cameron Corner the only building is the Cameron Corner Store, originally established in 1990 by a Vietnam War veteran and his wife. It is now operated by the only permanent residents of the locality, the incredibly friendly Fenn and Cheryl Miller. Fenn was the life of the party for New Year’s Eve and Cheryl was even happy to fix us some dinner just after the celebrations. Funnily, Cameron Corner Store has a Queensland liquor licence, a New South Wales postal code and a South Australian telephone number! And also a faithful and beautiful dog.